No business out there is perfect and problems when it comes to production do arise from time to time which cannot be dealt with quickly. Some of these problems can be dealt with using countermeasures. The question now is what are countermeasures and what do they bring to an organization? Countermeasures are simply actions that an organization takes to respond to a threat or danger in their operations. An example of a countermeasure can be an organization issuing a press release after negative things were published about them. This is done to get back into people’s good book and stop their stock price from dropping further after a damaging article. Countermeasures are not just a simple change which a business makes, it can change how an organization operates however, amazing countermeasures helps to highlight problems quicker and brings continuous improvement. Time is needed for the concept to be fully embedded into the operations of a business. It is important for an organization to not just have one countermeasure. They need to have several countermeasures because only one will not work or solves every problem an organization might face at different times of the year. Since countermeasures require a thinking approach to be implemented properly, teams in an organization can gain much-needed experience at the same time. Brand new insights into how the organization is operating can be made which leads to more improvements as the months and years go on. On top of that, teams in an organization are put in a position where they have to think outside the box and find good solutions to deal with a problem. Since there are so many people involved in the thinking process, it can bring about diverse and interesting ideas to tackle a problem which is very good for any business. Looking for countermeasures can help an organization test their employees’ wits and see who are the most creative of the bunch. It also brings about some healthy competition and encourages the employees to be very analytical as they do their job. Why are good countermeasures so important to an organization? It is important to know that not every solution that is drafted out by an organization can be seen as a countermeasure. An organization needs to learn the core concept behind a countermeasure and not think everything will work straight away on every problem. Many people out there often get confused on what are the criteria of a countermeasure. As pointed out above, time is needed for an organization to know how to apply the appropriate countermeasure based on the problem. The overall impact it brings on the organization and the team needs to be closely monitored at all times. Another thing worth noting is that countermeasures should be looked at as a band-aid to problems an organization is facing. It is something that deals with the problem for the meantime while an organization looks for a proper way to fully tackle the issue. This is an important area to pinpoint when is trying to understand what a countermeasure is. If an organization comes up with something that can potentially stop them from improving, it should not be seen as a countermeasure at all and needed to be avoided completely. On the other hand, if an organization has something that looks like it will help them improve, then they should build on it and use it. 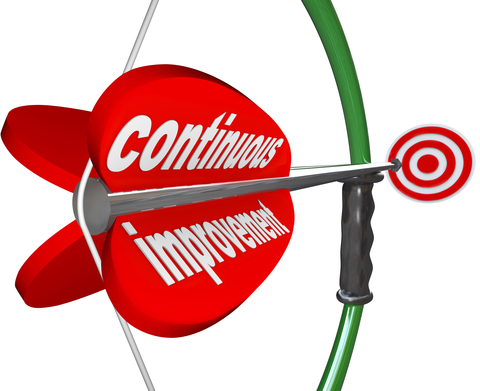 Overall it is very hard to define what a good countermeasure is, however; the one thing that is certain is it is an important element of a good lean manufacturing process. Using countermeasures is something that any organization must have up their sleeves when things go wrong. Management regularly speaking with employees is a good way to come up with new and innovative countermeasures. The post Countermeasures and Continuous Improvement appeared first on Shmula.